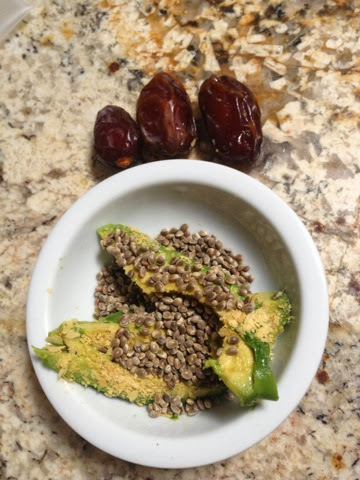 For breakfast I had dates and an avocado with nutritional yeast and toasted hemp seeds! 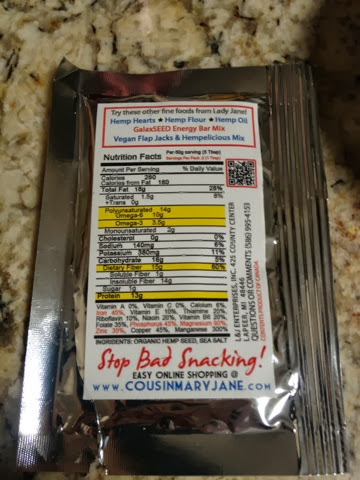 The hemp seeds are Lady Jane Gourmet Seed Co and they came in a VeganCuts snack box a few months ago. They were really good! 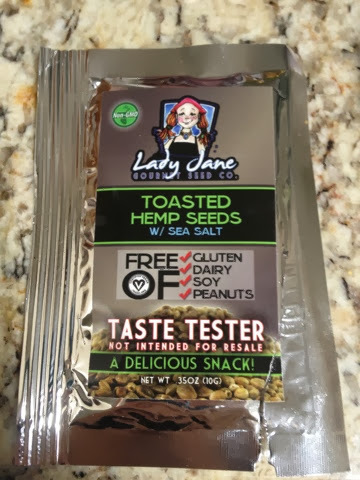 I had a feeling I would like them since I love raw hemp seeds and these were made to be more of a ToGo snack. They were crunchy and a little salty which complimented the soft avocado. Raw hemp seeds are a superfood: helps increase and maintain energy, lowers blood pressure and increases heart health, weight loss and improves digestion, healthy cholesterol, and controls blood sugar.